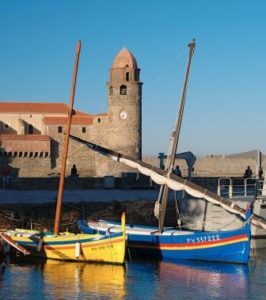 Languedoc is located around 9 hours’ drive from Calais, and therefore this travel method would be most suitable for long trips of a week or more that combine other regions, such as Champagne, the Loire Valley, Bordeaux or Burgundy. Please contact us for crossing prices with Eurotunnel or P&O Ferries. If you would prefer to travel from an alternative UK port, we can often arrange this. Please contact us to discuss your preferred route and applicable supplement. Carcassonne is around 7 ½ hours from Paris by train and overnight trains operate between these destinations. Grape Escapes can book your Eurostar and TGV travel for you if you wish and the definitive cost of your Eurostar travel can be confirmed 120 days before you travel, when the tickets are released. Train prices increase as the departure date nears so early booking is recommended. Please contact us to request a detailed information sheet with hints and tips for obtaining the best-priced tickets. Carcassonne airport is around 10 minutes’ from the city centre by taxi, which should cost around 12 Euros per way. There are direct flights from London Stansted, Liverpool, Bournemouth, East Midlands, Glasgow Prestwick, Cork and Dubin however some of these are seasonal services. Grape Escapes is ATOL registered, number 10831. If you wish us to arrange your flight, please contact us for further information. When you buy an ATOL protected flight or flight inclusive holiday from us you will receive an ATOL Certificate. This lists what is financially protected, where you can get information on what this means for you and who to contact if things go wrong. If you wish to book your hire car via Grape Escapes then please click here for a personalised quotation.